How do progressive lenses work? Read this guide and find out whether its good or not before you buy progressive lenses in Malaysia. 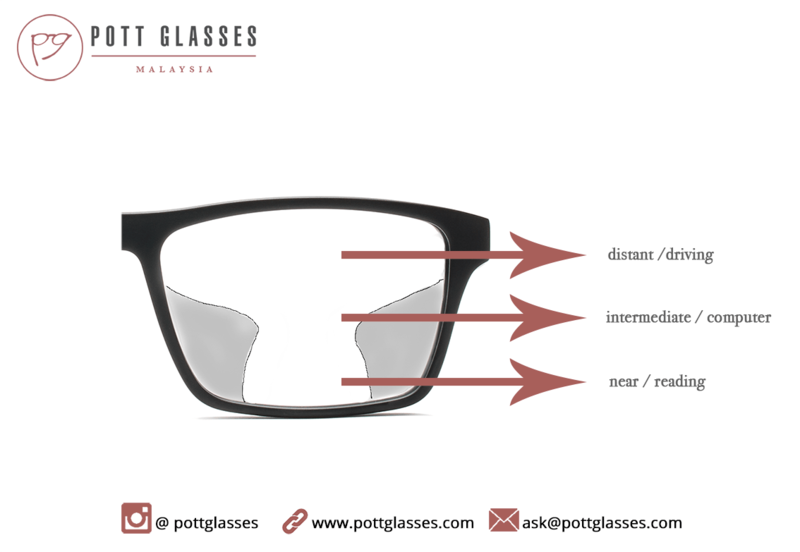 Previously in this Malaysia glasses guide, we learnt what is presbyopia and the cure for it is using progressive lenses technology. But what is meant by progressive lens glasses? How it works? And at the end, what is the progressive lens price in Malaysia? Presbyopia is a common old age problem because the crystallised lens behind the cornea simply cannot flex or squeeze itself during focusing in near reading distance. So to counter that, we will need a lens for near range focusing, essentially a lens for reading, then when we look far, it will be blur! So now you’ll either remove your glasses or change to a pair of reading glasses, troublesome! Presbyopia happens to everyone when we get old. What is meant by progressive glasses? A progressive lens is an amazing product of engineering, allowing a number of vision fields that can be incorporated directly into one piece of individual lens, with no borders or lines of variation within the fields themselves. The specific power inside the lenses “progressively” changes from far to moderate-near for your full reading power. For this reason progressive lens are usually often called “no-line” bifocals , trifocals or more popularly known as multifocals. An individual should think of progressive lenses like no-line bifocals or multifocal lenses. The general idea is that progressive lens consist of two distinctive prescription ie for distant which is located slightly above the center of the lens and reading at the bottom of the lens. Progressive technology make the transition between the two prescriptions on lens much smoother & softer. Otherwise we will end up with bifocal where the transition is not smooth and we have a line separating the two prescriptions. This technology helps you see much better in more instances as well as intermediate object such as computer work and speedometer in car. Progressive lenses help you feel more natural looking from far to near! Progressive lenses let several eyesight vision fields merge into just one lens. So rather than a cut and paste of several lenses, this technology “progressively” changes distance (far range), suitable for medium distance viewing range (like driving), and the close distance (reading range). 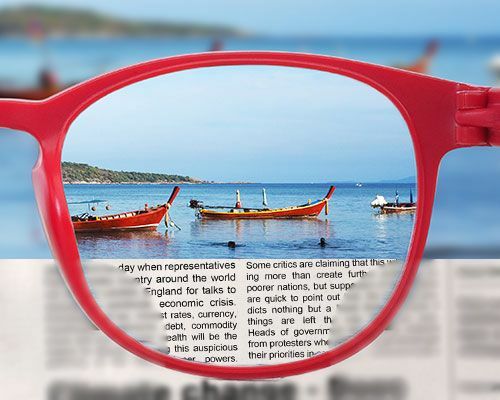 Progressive lenses can work wonders for many Malaysians living in the digital age. When a person is wearing a progressive lens glasses, they generally described the experience as one glasses that solve all the problems. So if you want to find out more about cost and style of progressive lenses or other details, please do not hesitate to come try on our range of eye care glasses products that are stylish and being paired by a professional eyewear stylist at Pott Glasses Malaysia! If you’d like to find out whether this lens is suitable for you, feel free to make an appointment for consultation.